How many times have you caught yourself going from starting dinner, to doing laundry and helping with homework, to find that dinner is burned and the laundry is in a wet pile? This is one of the many scenarios a parent with ADHD may struggle with on a daily basis. Parenting is one of the toughest jobs out there, and parenting with ADHD can be even tougher. 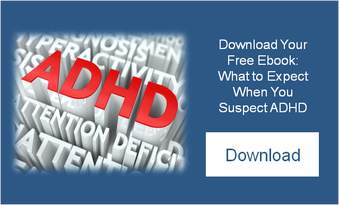 ADHD can present itself differently from childhood to adulthood. You may be a situation where you were diagnosed as a child and are learning to cope with the symptoms as an adult. OR, maybe you are an adult who was never diagnosed as a child (but should have been). Red on to understand how ADHD symptoms may manifest in adults. We can all probably relate to a few these! This doesn’t necessarily mean you have ADHD, but if there are several symptoms that tend to disrupt your functioning on a daily or weekly basis, you may want to reach out for support. You can talk to your primary care physician or find a mental health professional for treatment and to help you learn some strategies to better manage your symptoms. https://nspt4kids.com/wp-content/uploads/2016/05/nspt_2-color-logo_noclaims.png 0 0 Megan Pearson https://nspt4kids.com/wp-content/uploads/2016/05/nspt_2-color-logo_noclaims.png Megan Pearson2014-01-08 11:41:432014-06-02 22:32:17Are You a Parent with ADHD?